Music Subscription Services - The HEOS app lets you choose from popular subscription streaming services including Spotify, Pandora, Rhapsody, iHeartRadio, SiriusXM or TuneIn, and from other services that offer DRM-free tracks. More services will be added soon. Music Formats Supported - HEOS HomeCinema supports MP3 and WMA music files, including purchased WMA downloads, as well as AAC (MPEG4) and FLAC (lossless) file types, along with WAV files. Supports 32 kHz, 44.1 kHz and 48 kHz sampling rates. Picture Formats Supported - HEOS HomeCinema supports JPG, PNG, BMP and GIF album art picture formats. USB Drives Supported - HEOS HomeCinema supports USB thumb drives via the built-in USB port. Music content on a USB drive can be played back locally, or on any or all HEOS players on your network. Wireless Connection - Connect to your wireless network quickly and easily. 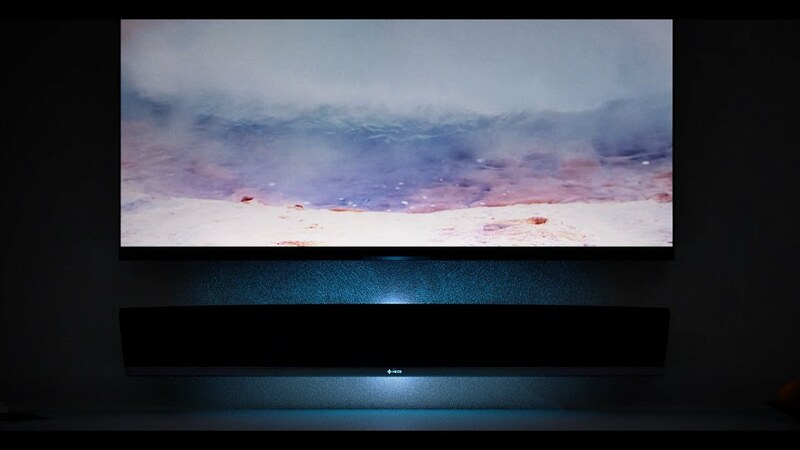 HEOS HomeCinema supports the latest 802.11 networks (including dual band "N") for the most reliable network connection. Wired Connection - Connect to your home or office LAN system via the RJ-45 wired LAN port.